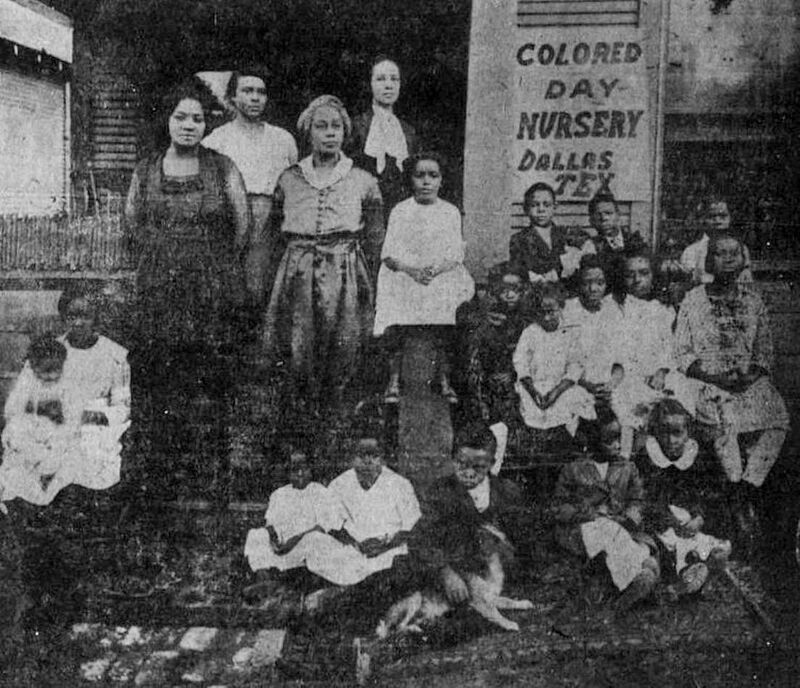 This photo appeared in the pages of The Dallas Express, the main source of news for the city’s black residents. The caption, below (click for larger image). 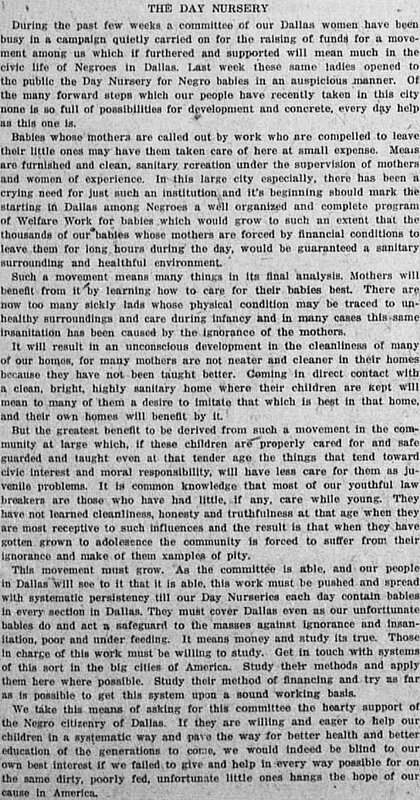 This “day nursery” organized by the Federation of Colored Women’s Clubs, must have been a relief to working women who had young children that needed supervision. At the nominal fee of 10¢ a day (equivalent to about $1.35 today), the community service was affordable to many working families. A few weeks after the above photo appeared in its pages, an editorial appeared in the Express, urging support for the Dallas Day Nursery and explaining why it was important not only to families, but to the greater community. 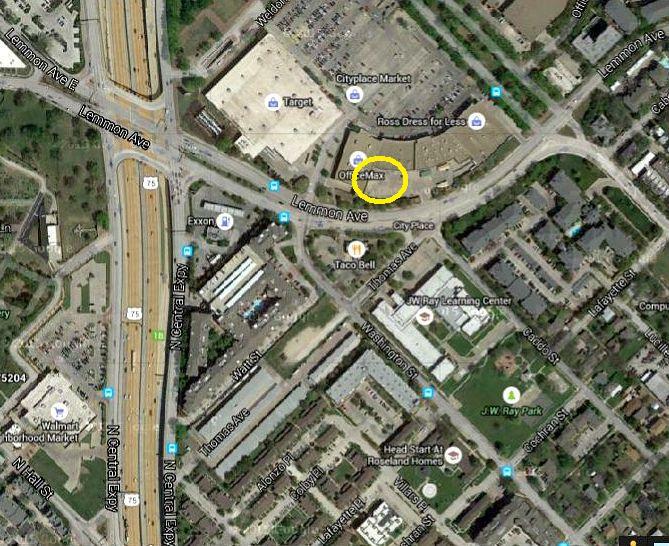 The nursery appears to have been run out of a residence at 2417 Caddo Street, which would now be located in the CityPlace Market parking lot, behind the Office Max.